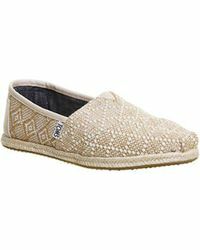 See more TOMS Loafers and moccasins. We check over 450 stores daily and we last saw this product for $42 at Office. 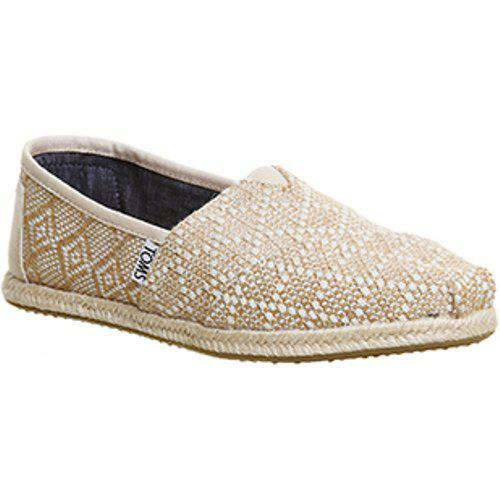 Espadrilles By TOMSThe original Classic Slip On espadrille in natural and white woven canvas with rope detailing. Canvas upper. Suede insole. Mixed rubber sole. TOMS insoles are marked with US sizing.